The first step is to get to know each other, so we can learn how we can best serve you. Please tell us what you've liked and disliked about your past dental visits, so we can ensure that your future visits with us are pleasant. We usually begin our initial exam by taking a panoramic x-ray. 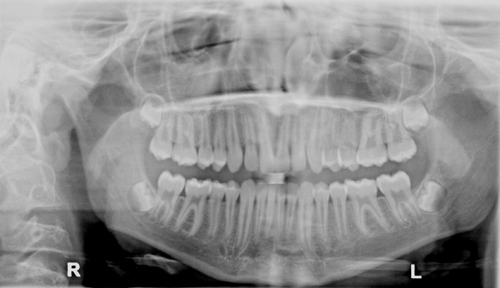 This helps us to see all the teeth and surrounding structures on one film. We may also take close up x-rays of selected teeth. If you've had x-rays taken within the past year, we can use them if you bring them with you. We then perform a clinical exam to check the health of the teeth, gums, oral soft tissues and TMJ. We often will take close up photographs of your teeth with our intraoral camera to better view them. After the exam is completed, we will discuss our findings with you and make our treatment recommendations. We will also inform you, in advance, about the cost of any proposed treatment and the estimated insurance coverage (if applicable). Our practice is working together to realize a shared vision of excellence in dentistry and total patient care. We are located in a strip mall at the crossroad of Ellsworth Road and Stone School, where there is ample parking. Our address is 4075 Stone School Road Ann Arbor, MI 48108. View the video below to see visual directions and landmarks that will guide you to our office.